The decoration was pretty nice. I choose to wear a blue maxi dress. This is my first maxi and I loved wearing it :) A rose gold necklace was attached to the neckline. 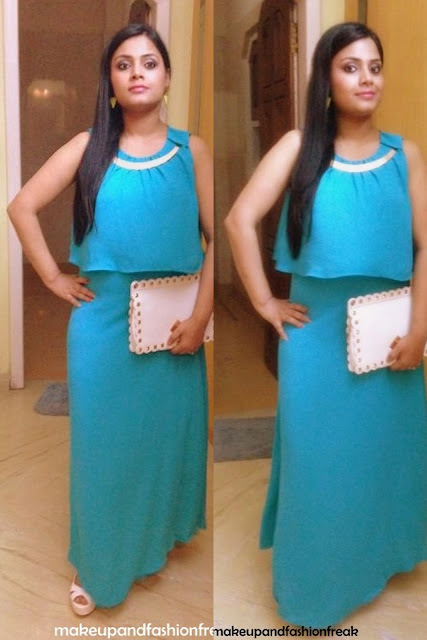 Since, I had very less time to shop for the accessories so, I paired the maxi with white wedges and a white studded clutch bag. Also I wore a pair of neon yellow earrings.